Whether you’re a new parent, or you have moved to a new area – it can be tricky making new friends and meeting like minded tribes. The key is the kids! So take a look at these 5 top ideas that will both entertain your tribe and help you to meet some new friends in your neighbourhood. Toy Libraries are exactly as they sound – a place to borrow toys! For a small membership fee, you can take the tribe to your local Toy Library and go and road test all the toys their hearts desire! You get to take them home for the week, and then bring them back and swap them for some new toys. 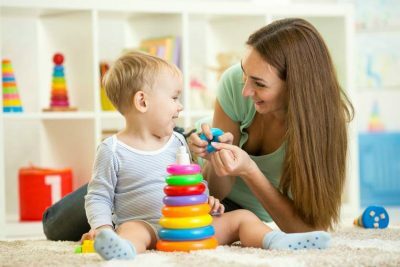 The aim of Toy Libraries is to support children’s development and imagination, whilst encouraging families to enjoy some togetherness and allowing them to meet other families who share the same interests. There are 280 Toy Libraries around Australia and if there isn’t one near you – the good news is you can fill out a new member application form to nominate your local library. Playgroup Australia is a non-for-profit organisation that provides families with the opportunity to bring their tribe along to an informal get together with other local families. Playgroups can meet anywhere from a local hall, to a park, to a community centre or health clinic. 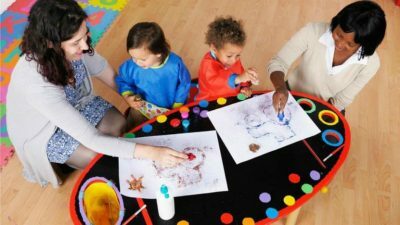 The playgroup is generally run by the parents and caregivers and activities include free play, arts and crafts, story reading time, music and singing and outings to fun places. The kids will have a ball making new friends and trying new activities and you will get to meet parents with kids of a similar age. Win win! You can find your local Playgroup by searching via your state’s website. 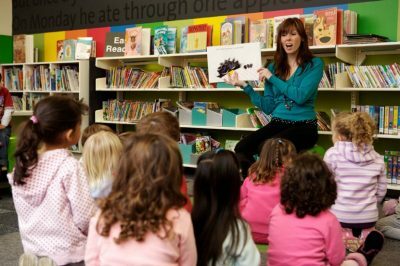 Most libraries hold a Story Time reading session for the kids, as well as other kid friendly activities during the week. Some libraries have nursery rhyme sing-a-longs, others have Lego building sessions. 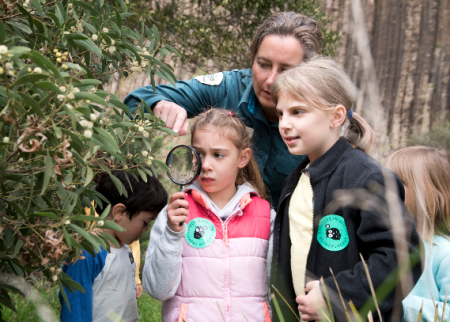 Each library has its own unique program but one thing is for sure – if you’re looking for a place to entertain the tribe and meet new people, head to the library, sign up for membership and enquire about their kids programs! Story Time is so well loved that there is an annual event for the National Simultaneous Storytime each year where all libraries read the same story at the same time! 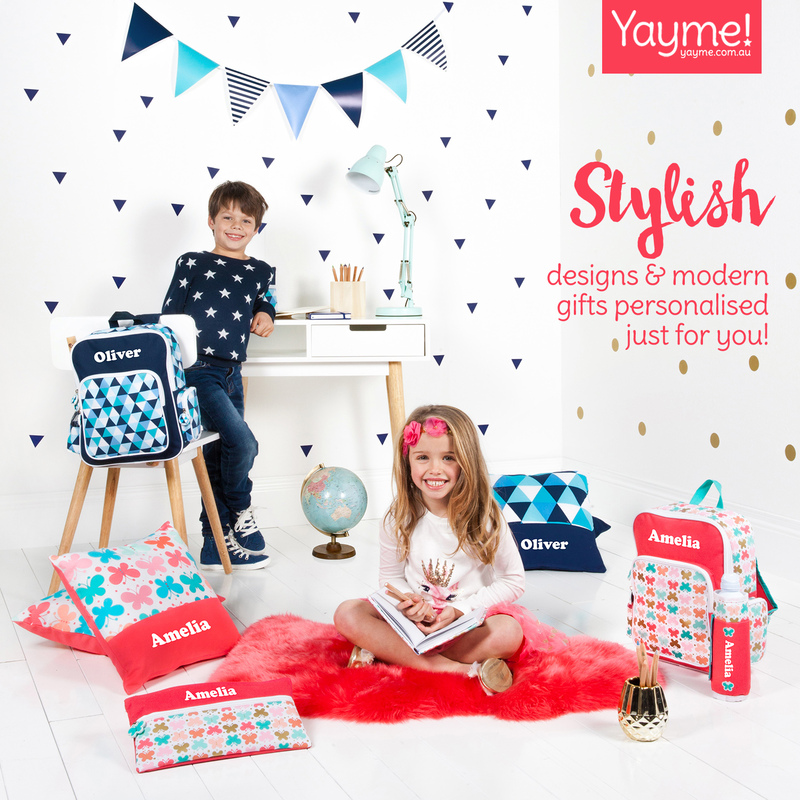 It’s a great way to encourage literacy and learning for the kids and a fab way to meet likeminded tribes. 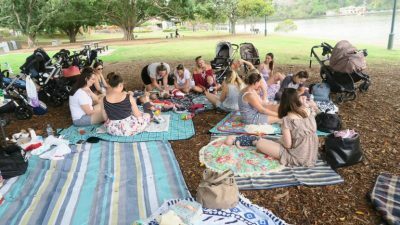 Babes & Picnics Australia is a fun organisation that invites all mums, mums-to-be and of course their babes to come along and have a picnic whilst supporting local businesses and a nominated charity. The picnics were created so that mums could make new friends, mingle and pay it forward by supporting a worthy organisation on the day. What’s not to love? This initiative is Australia wide and you can even get in touch with the organisers to ask for a picnic in your area! What sort of activities interest your tribe? They might be energetic and need to find a sporting class to run off some energy, or they might be musical and show interest in learning to dance or sing. Whatever their inner talents, enrolling your kids in a club or a class is not only great for them and their social skills, but it’s a great way for you to meet other tribes too. 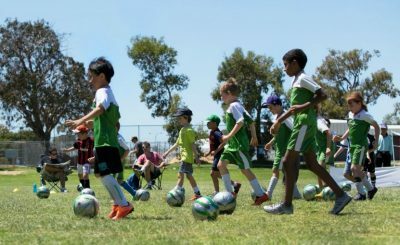 After all, it’s a weekly drop off where you will be standing on the sidelines cheering your kids on, but it will quickly allow you to meet other parents whose kids share the same interests as yours.